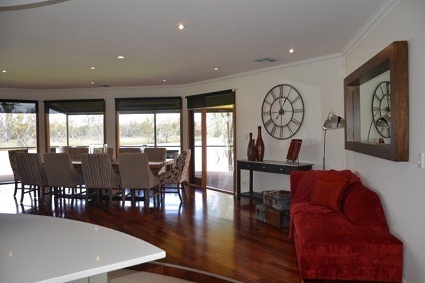 Riverside 267 - Murray River Views, Theatre room, Bar, Deck and Luxury throughout the home. The house is elevated and angled to given beautiful views of the river. 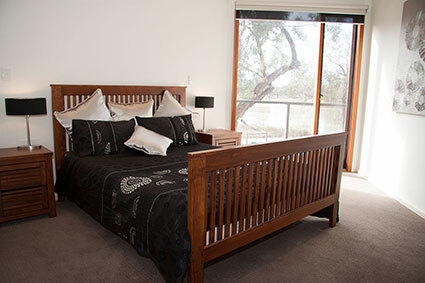 There are 4 bedrooms (2 x King doubles, 1 x Queen double, 1 bedroom with a zip together King double that can be made into 2 x king singles), 3 bathrooms (one with bath and one with double shower), 4 toilets, open plan kitchen and living area, theatre room, bar, extensive deck area, laundry, undercover parking for 4 vehicles and large undercover shaded seating/entertaining area.